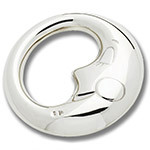 Inspired by storybook crescent moons, this Cunill Moon Sterling Silver Rattle gives baby an easy grip on the handle, and a large surface area for soothing sore gums. Measures 2-7/8" diameter, gift box included. This item is not engravable. 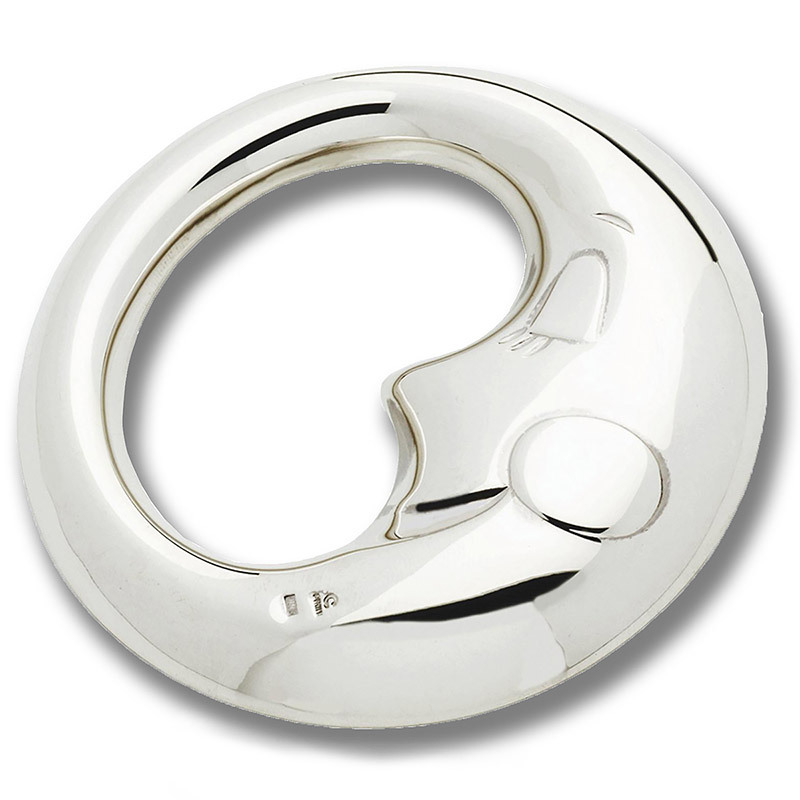 Handmade in Barcelona, Spain with more silver than the industry standard. Cunill also uses a bit more silver in their sterling alloy (93 to 94%, versus 92.5%), which gives it that extra shine that really stands out.